While it is still uncertain when North Korean leader Kim Jong-un will visit Seoul, his South Korean counterpart has invited him on Dec. 12-14, according to a Friday report. Chosun Ilbo said South Korean President Moon Jae-in, shortly after returning from G-20 Summit in Argentina on Tuesday, sent an "official invitation" to Kim for those dates. Signs of Kim's Seoul visit within this month have been seen from the South Korean presidential office Cheong Wa Dae's recent moves. On Thursday, Moon held an unexpected meeting with presidential aides to discuss Kim's possible Seoul visit. Presidential chief of staff Im Jong-seok even canceled his half-day vacation to attend. Other regular presidential meetings scheduled for that day were canceled. Cheong Wa Dae also reportedly discussed with U.S. Embassy officials on Thursday possible dates for Kim's visit. Cheong Wa Dae's latest official response regarding Kim's possible Seoul visit ― the first by a North Korean leader ― is, "We have not heard from Pyongyang yet." But voices around the National Assembly in Yeouido have suggested that the dates have probably already been set, but Cheong Wa Dae has not released the dates for security reasons. "We will prepare to accommodate Kim if he decides to come, possibly between mid-December and the end of the year," a Cheong Wa Dae official reportedly said. "We are also considering that the visit may be delayed till next year." Moon possibly invited Kim on Dec. 12-14 because there are significant dates regarding Kim's family later this month. The seventh anniversary of Kim's predecessor Kim Jong-il's death is on Dec. 17 and the birthday of Kim's late grandmother Kim Jong-suk is on Dec. 24. However, former South Korean unification minister Jeong Se-hyun predicted on a TBS radio show on Tuesday that Kim would come to Seoul from Dec. 18-20. "Kim is set to be very busy from Dec. 20," Jeong said. "If he comes and stays on Dec. 18, 19, 20, it will happen exactly three months after Moon's visit to Pyongyang on Sept. 18-20." Jeong dismissed the possibility of Kim visiting Seoul in the week before Christmas because "Christmas has no meaning in the North" and "Furthermore, Seoul will be bustling around this time." With specifics from Cheong Wa Dae remaining unconfirmed, rumors say that Kim, once he crosses the inter-Korean border, will visit Olympic Park in Songpa-gu District to watch North Korea's art performance group on stage. 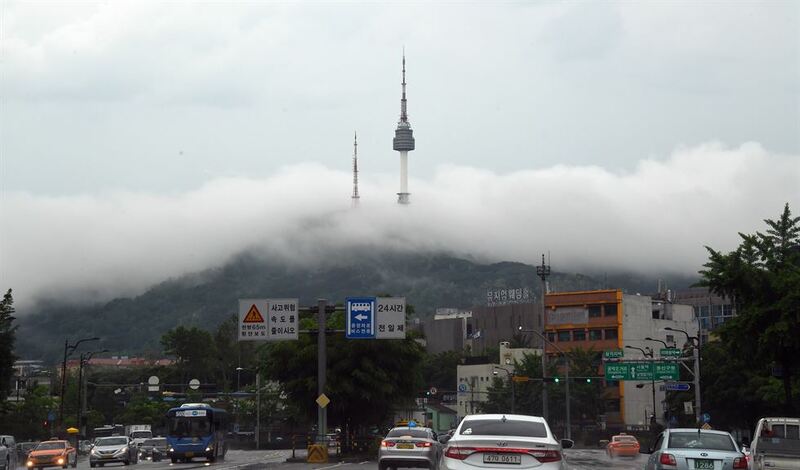 He is also expected to visit N-Tower on Mount. 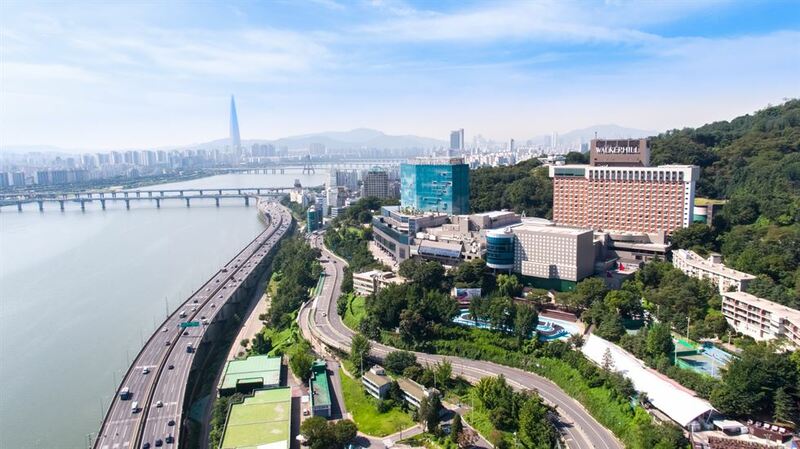 Namsan in Jung-gu District and Grand Walkerhill Seoul Hotel in Gwangjin-gu District. 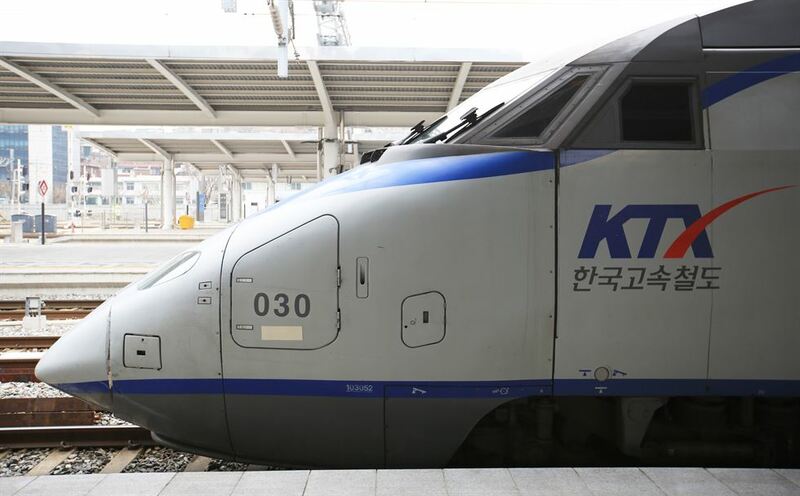 Cheong Wa Dae official had said on Wednesday that Kim, on his possible Seoul venture, would ride South Korea's high-speed train. "One thing I can tell you is there is a strong possibility that Kim will ride the KTX bullet train from Seoul to Busan during his stay in the South given his repeated desire to advance the North's outdated train infrastructure," the official said. During Moon's September visit to Pyongyang, the President discussed how the two Koreas could be better connected via the KTX high-speed train. Jeju Island is another spot that Kim is highly expected to visit during his possible visit. President Moon had expressed hope during his latest Pyongyang visit that Kim would travel to Seoul within this year and they would climb South Korea's tallest mountain Halla on Jeju together in a reciprocal show of appreciation to Kim, after the two visited North Korea's tallest mountain, Mount Paekdu, in September. 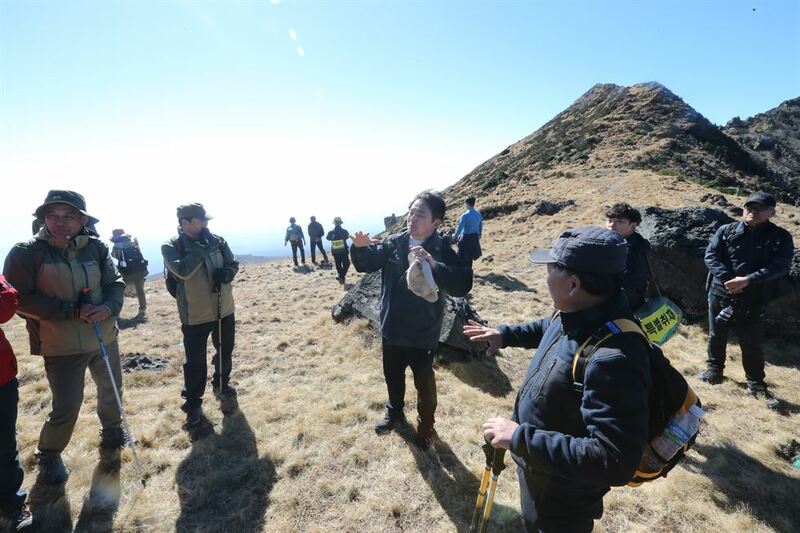 "We need to check if a helicopter can land inside the Baekrokdam crater," said Jeju Governor Won Hee-ryong, referring to the volcanic crater on the peak.